Some special clothes you may never get to see them in Scandinavia countries on ordinary days, neither will you be able to see some unique traditional dancing steps in the clubs, except when these people gather together to celebrates their country independence day. 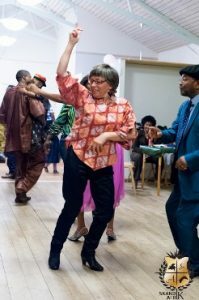 These clothes, dancing steps, special food and exchange of pleasantries in different languages other than the Swedish language is part of some of the unique identities that make these individuals share a common value on their independence anniversary. 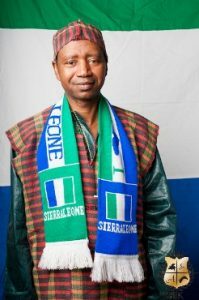 The Sierra Leoneans living in Gothenburg area in Sweden came together to mark their 51st Independence Anniversary from the British colony. 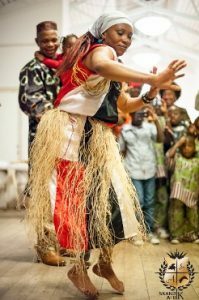 It was a night filled with traditional dance like Bondo ( which was displayed by Connie, Aminata, and Kadiya ), outstanding traditional Sierra Leonean clothes called Ronko which was worn by Ismael Kamara and different types of food like Akara cake, roasted chicken and of course rice were served to all that was present. 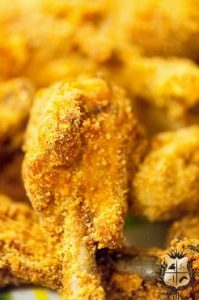 There is a usual saying that if a Sierra Leonean has not eaten Rice, then they have not eaten. 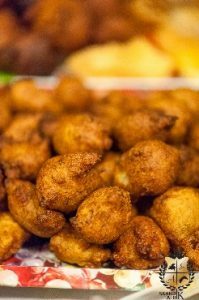 Rice is considered a staple food in Sierra Leone which is often combined with light or thick sauces together with fish or meat. 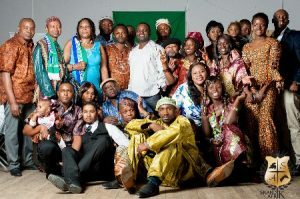 Even though not all the seventy Sierra Leoneans living in Western part of Sweden (according to Alhaji K. Karoma, an active Sierra Leonean member in Gothenburg) were present but it was a remarkable night as traditional dance from Sierra Leone was showcased to the people present and “Salones” dancing steps to prominent musicians like Emerson, K-man etc. were displaced. Above all united and happy members that organized this year event took a family picture. Most of these Sierra Leoneans have been living in Sweden peacefully for over a decade and have contributed to the economy of the Swedish country positively, either through their works, establishment or their trades with their home country. 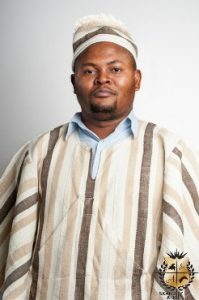 Skandik Afrik shares with our audience, the traditional values of Sierra Leoneans living in Gothenburg, Sweden. 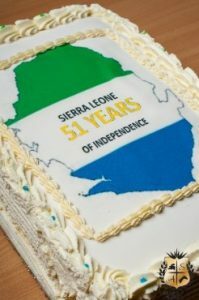 See the pictures below and have a glimpse of how the Sierra Leoneans celebrated their independence anniversary and share your thought with us.